Animals were a very important part of the Mayan culture. Mayans ascribed many traits which they observed in animals like jaguar to their deities. Some animals were considered a direct manifestation of the gods, such as the Black Howler Monkey. Mayans closely observed the animals which existed in the Mayan cities and the surrounding regions. Many of these animals were also offered as sacrifices to the Mayan gods. Mayans also hunted a large variety of animals as a source of meat. These hunt-animals included iguanas, rabbits and deer among others. Mayans considered the black howler monkeys as scribes of the gods. They were seen as patrons of the artists, scribes and craftsmen and any work involving creative work. For this reason, Mayans honoured and esteemed them, and in some cases worshipped their long black tails for their extraordinary beauty. Howler monkeys are represented in the architecture and extant art of many Mayan cities. They are often depicted with reverence, and were particularly important in the Mayan city of Copan. The black howler monkeys also played a prominent role in the saga of the Hero Twins, as elaborated in the Mayan book of mythology, Popul Vuh. A large population of howler monkeys still exist in the Mayan regions and in the regions surrounding Mayan ruins. Jaguars are one of the most recurring animal motifs in the Mayan mythology and culture. Jaguars are one of the most recurring animal motifs in the Mayan mythology and culture. They were associated with the most powerful Mayan gods, especially the deities related to warfare. 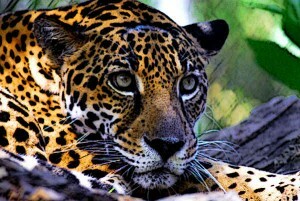 Mayans believed that jaguars could cross between the two worlds which are represented by the day and the night. According to Mayan mythology, one of the two Hero Twins was draped in jaguar skin and eventually turned into a Mayan god at the end of his adventures in the underworld. Mayan rulers wore jaguar pelt as a sign of highest honour, and any non-royalty were forbidden from wearing such pelts. Mayans considered certain species of rattlesnakes as having extraordinary powers. Carvings of such snakes have been found in cities all over the Mayan region. Some Mayan cities even had snake as their official emblem, which bears a parallel with a similar use of the snake motif in ancient Egypt. Mayan priests routinely dried and cooked rattlesnakes in order to make use of their unique powers. They would then use their ground powder as medicine. The Armadillo was a purely meat-animal for the Mayans. They hunted armadillos in large numbers as a direct meat source. The shell of the armadillo was also used by the Mayans for a number of objects, including bowls. It was also used to create musical instruments, which may explain why armadillo was often associated with music in the Mayan culture. Mayans also associated the armadillo with some of their earth deities. Bats were considered a morbid animal in the Mayan culture. They were frequently associated with night, death and sacrifice. Mayan considered the tips of the outstretched wings of bats as the eyes of death, considering them linked with the underworld. Bats also occur in the myth of the Hero Twins where the Twins have to confront huge bats who ultimately cut off their heads. Mayan pantheon had a bat god called Camazotz who resided in the underworld. Mayans hunted deer as a primary source of meat and yet, revered it as a symbol for their ancestors who hunted, rather than harvested, as the main source of food. Mayans considered deer the lord of the forest and often sacrificed them as a treasured tribute to the gods. In some extant Mayan art, deer are also associated with motifs of death as well as with authority and power. For Mayans, rabbits were directly related to the Moon deities. In fact, Mayans believed that the moon itself was a rabbit. They also associated rabbits with writing and arts, probably according them the position of patrons for scribes and creative artists. In some Mayan depictions, the Moon goddess is shown as holding a rabbit in her arms. Mayans considered water bodies as the pathway to the underworld. So any water animals in the Mayan culture were directly associated with themes of the underworld. This applied to the ducks as well who were frequently used by the Mayans in religious rituals and as a means to ward off the demons of the underworld. Mayans also hunted and consumed ducks as a source of meat. Mayans considered falcons and related species such as hawks as direct messengers of the heavenly gods. They were considered a symbol of power as well. In the Mayan mythological tale of the Hero Twins, they are invited by the lords of the Underworld through a falcon. Mayan consumed the meats of many animals, even when some of them were associated with Mayan deities. The hunted animals like wild pigs, white deer, armadillos, iguanas, peccaries, rabbits, tapirs and monkeys. They also hunted birds such as partridge, quail and wild turkeys for their meat. Mayans developed a number of ways to hunt animals found in water bodies. By using blow guns and arrows, they often hunted sea animals such as crabs, shellfish, lobsters and many varieties of fishes. Mayans consumed these marine animals fresh and also dried and roasted them for later use. Animals were popular and powerful symbols in Mayan mythology and culture. They were often associated with different deities and their traits, keenly observed by the Mayans, were ascribed to these deities. Mayan deities for warfare, for instance, were often associated with jaguar who was considered a stealthy animal that could easily hunt for its prey with success. Similarly, howler monkeys were considered patrons of creative arts in the Mayan culture. Although Mayans considered many animals associated with Mayan gods, they also hunted them as a meat source and frequently offered them as sacrifices during religious rituals. In general, the more difficult it was to hunt an animal, the more treasured its sacrifice was considered by the Mayans.